This is a default replacement of the handheld game that comes with University Expansion pack. University is required. 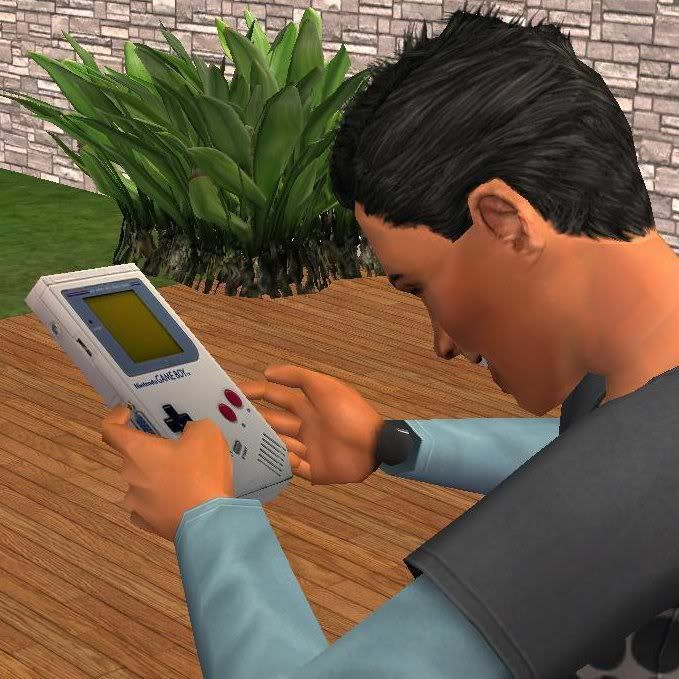 To get your sim a handheld game, you will have to place a cell phone kiosk on a community lot, there you can buy cell phones, mp3 players, and a handheld game. This will replace that handheld game with the retro Gameboy from the early 1990's. You can only keep one default replacement handheld game in your downloads folder at all times. Enjoy! Very nice. Looks very familiar. It says File Not Found. Do you have another download link?